Better Business Bureau reported that internet scam has soared in recent years. With kids having access to social media and going online younger and younger, they need to be taught about online scams before they become a victim. Scammers are becoming more sophisticated in their techniques so they can target anyone at any age. While you can install parental control software into your child’s phones and computer, it will never be 100% secured. You will be the person to protect your kids. 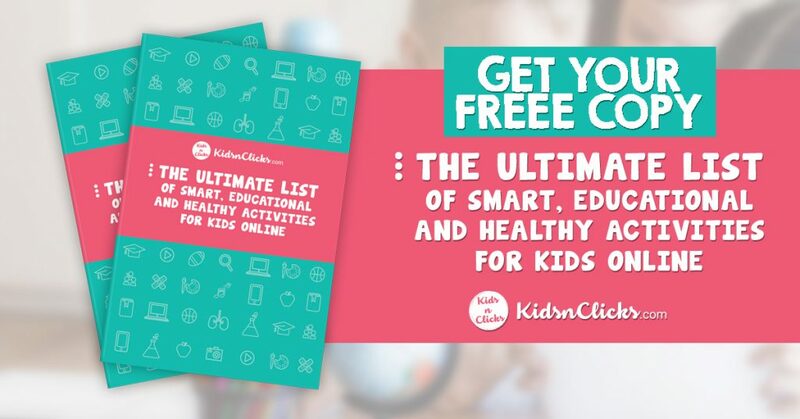 No software can replace the guidance you can provide your kids. It is common for kids to be competing with their friends. Especially if they expect that they will get some prize at the end of it. The problem is no one actually wins in such type of contest. 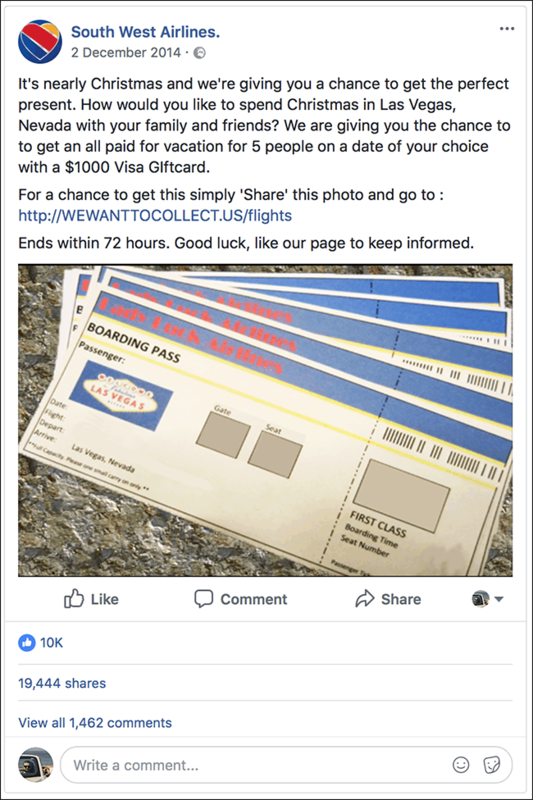 Online contest scams can be commonly found on Facebook & Instagram. If the contest is seen on social media then check if the page attached with the contest has a blue tick mark next to it. 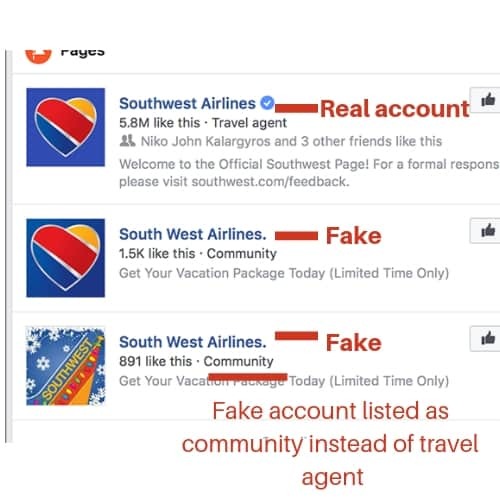 Social media companies like Twitter, Instagram, and Facebook place a tick mark for authentic pages. The Nigerian scam is a fake lottery scam. This is one of the most popular online scams. 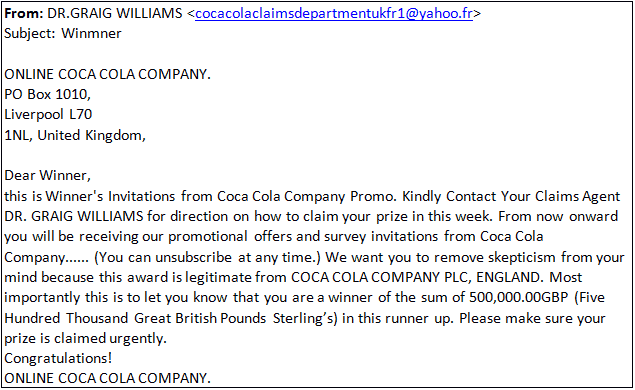 Usually, it is received through an email which states that you have won a lottery ( even though you have not participated in any). Sometimes it will say that a wealthy person from Nigeria is dying of illness and would like you to have his wealth. It will ask for your personal bank account to transfer a few billion dollars. 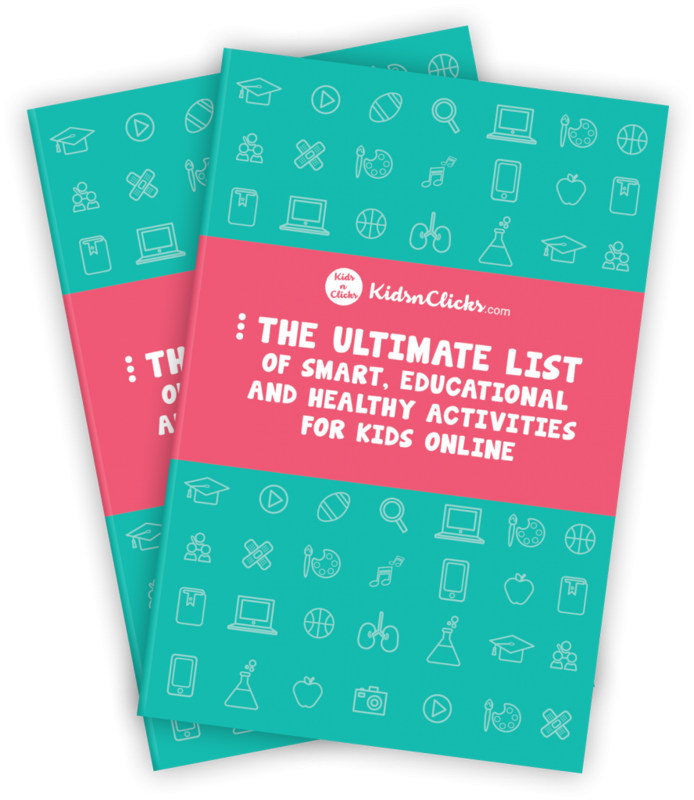 Teach kids how to identify fraudulent emails. When an email has spelling errors or bad grammar, it should be a warning sign. Big companies have copywriters who make sure emails are grammatically correct. If the email begins with “Hello” but doesn’t actually state your name, that’s another red flag. Anyone can get excited when the word ‘free’ is attached to an image or email. But avoid any online giveaways. Your child will run the risk of sharing their personal information with fraudsters. The BBC reported that Facebook Messenger, the private messaging app, is a new way fraudster target their victims. They use Messenger- without having a Facebook profile – and contact people who are not their friends. Online shopping is now increasingly popular among teens. However, there are plenty of knock-off items being sold online. For instance, some websites or Instagram account will sell branded clothes for half of the price. Downloading apps, music, and games from unreliable sources may result in a computer or smartphone being infected by viruses. This can happen if your child is not careful. Another common scam in this category is when a kid falls for “free” download to get a demo version of a game or an app. Later to find out the demo consist of a virus or be asked to pay cash for the full version. This scam can exist in a few forms. The purpose of it is to get a person’s private information. For instance, your child might get a notification that there is a problem with one of their social media account. To resolve the issue they need to “click this link”. 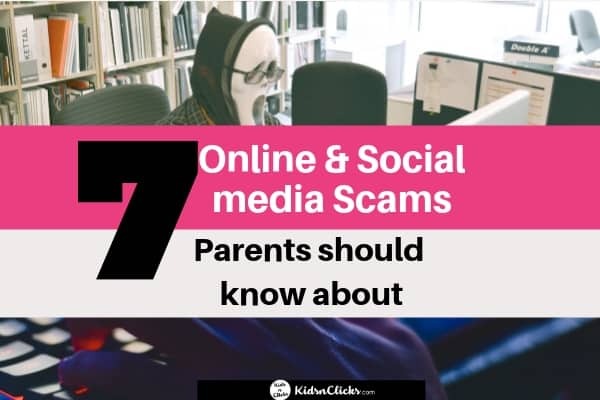 The link will take them to a fake page that can extract your child’s password, location, and other personal information. Email phishing – Similar to what was described earlier. Phishers would send spoofed emails to potential victims in hopes of luring them to hand over their details. SMS phishing – Fraudsters would send SMS to get you to call them back. For instance, call back to activate your discount. Voice phishing– Phishers would call you directly or leave a voice mail. For instance, receiving a call from an insurance company claiming that there has been an accident. Remind your child that all information is private unless speaking to a close family member. When unsure, do not say anything. That should be the rule! Just like how we teach our kids not to talk to strangers on the road, you shouldn’t talk to strangers on the phone- whether that stranger is calling, texting, or messaging inside a game or app. 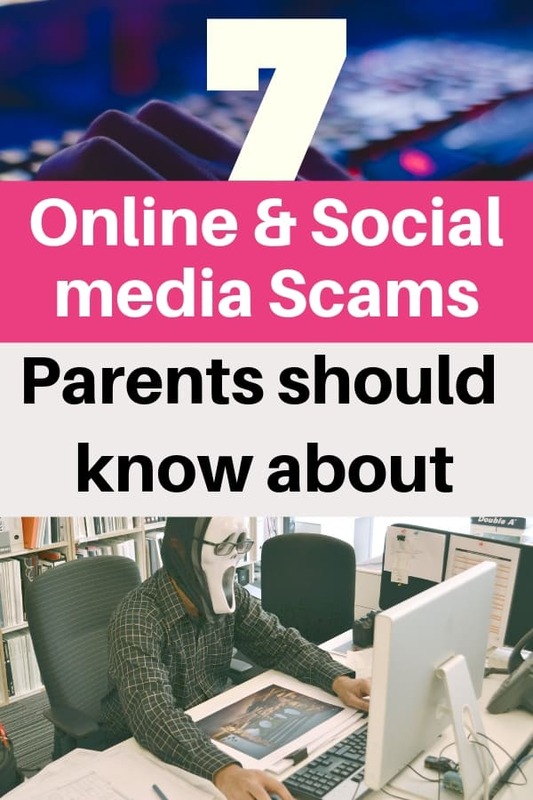 The moment your child has the ability to access the internet or has their own device, teach them how to identify scams. Most importantly, help them understand the consequences of scams. Also, encourage your kid to think critically. Do not underestimate them. If they can browse online, they can understand when you explain scams to them and what can happen if they are not careful. Be honest about some of the dangers of the internet, this will prepare them for the digital world and enable them to use it wisely. Expect some failure along the way. The online world is new to them but as they use it more often they will be better at protecting themselves. One of the favorite ways to ‘allow’ them to fail is to have a joint bank account with your child. Put $20 into the account and monitor where it is being used. If your child has spent that amount because of falling for a scam then that is GOOD news! It can be a learning lesson for them. Explain to your child where the loss happens but do not replace the cash. The $20 loss is better than $2000 mistake that can happen in the future. Provide them with emotional support but remember to NOT REPLACE THE MONEY.